What is Whistlewood all about? 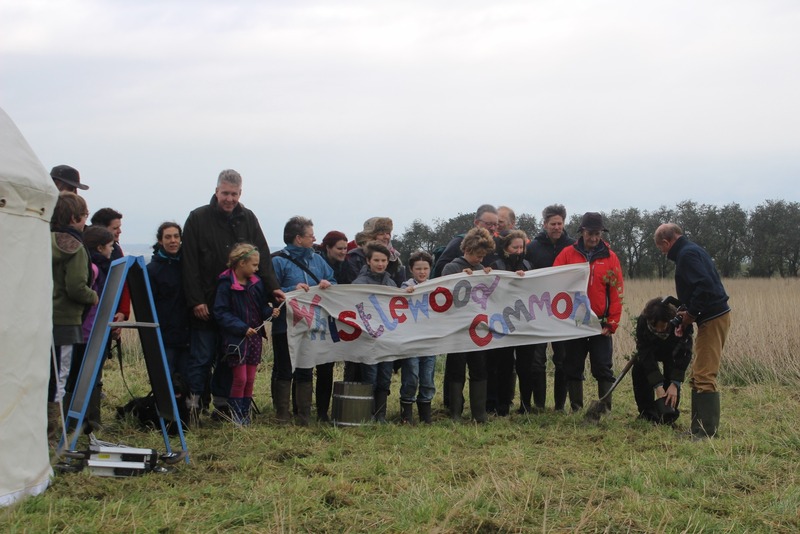 Whistlewood is ten acres of community-owned land in Melbourne, South Derbyshire. The site is designed along permaculture principles (a sustainable design framework) so that it will work for people, for wildlife and be a welcoming space for people of all ages and backgrounds. We hold events and run workshops and provide educational opportunities that help people understand how to live more sustainably. Our rural ten acre site encourages an appreciation of nature and the outdoors, by being part of it, not just an outside observer. The site also hosts events that bring our community closer to make it a better place to live and help us face future challenges. In 2013 ten acres of land came up for sale in Melbourne in South Derbyshire. Members of the local Transition group wondered if it would be possible to do something really exciting with it. What if we could create a community woodland where everything was edible or otherwise useful for our community? And in the same space help people understand how to live more sustainably, appreciate nature and the outdoors, and hold events that would bring our community closer to face future challenges. So, with the support of the National Forest Company, a co-operative society was formed and shares were sold to enable the land purchase to become a reality. Shares, from £50 upwards were sold to local people, but word spread and we gained supporters all around the world who were inspired by what we were doing. A solid business plan is behind everything we do and the project will be sustainable long-term, financially as well as environmentally. People young and old love the site as somewhere they can feel relaxed and close to nature, and can be part of the solution, not the problem. We welcome everyone to come and get involved.